First Apple, then Snapchat, and now Dropbox - the hackers are out in full swing right now. In the latest attack, hundreds of Dropbox user emails and passwords have been posted to Reddit, with the perpetrators are threatening to release millions more if people "support" the initiative. "As more BTC is donated , More pastebin pastes will appear," reads one of the posts, which claims that 6,937,081 accounts have been taken in total. Yes, the hackers are asking for people to pay Bitcoin in exchange for these details. 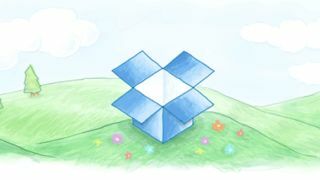 However Dropbox claims that it hasn't been hacked directly. Like Snapchat, these details were taken from a separate service, the company claims. "Your stuff is safe," read a statement. "The usernames and passwords referenced in these articles were stolen from unrelated services, not Dropbox. Attackers then used these stolen credentials to try to log in to sites across the internet, including Dropbox. We have measures in place to detect suspicious login activity and we automatically reset passwords when it happens." Dropbox also said that the majority of these passwords have now expired, however we'd advise changing your login details nonetheless. Whether anyone is actually paying Bitcoin for these leaks, we're not sure, but we'll keep you posted with more information as it develops. Let's hope Apple Pay is nice and safe, eh?